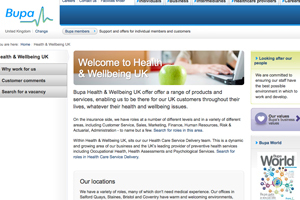 Bupa Health and Wellbeing (BHW) has appointed Opus to deliver its employee engagement and internal communications strategy. The agency has worked with BHW’s internal communications team for three years on strategy development, providing creative support and event delivery. Opus client strategy director Freddie Guilmard said: "We are delighted to be working with BHW at such an exciting time. We look forward to continuing to support BHW’s employee engagement and internal communications strategy to ensure that it fully supports the achievement of its business goals." Bupa Health and Wellbeing managing director Natalie-Jane Macdonald said: "The Opus team has worked very closely with us over the last three years on both strategy development and events. Our partnership is an example of a great collaboration."